¿Qué te gusta comer? Me gusta comer . . . 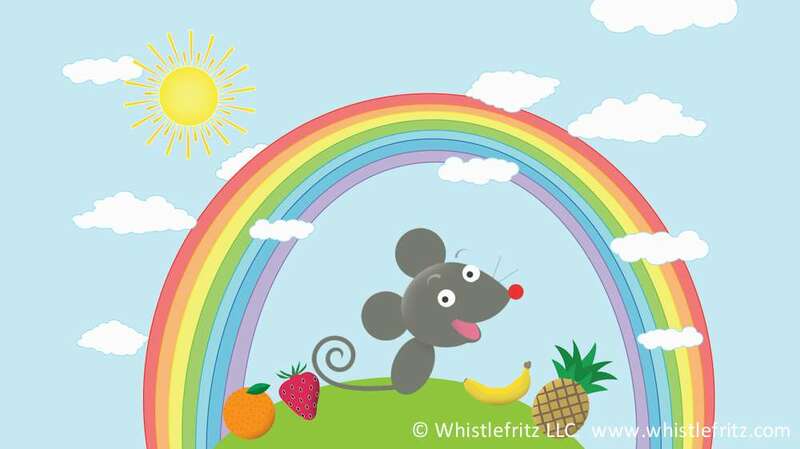 This fun video clip from Whistlefritz’s video Spanish for Kids: ADENTRO Y AFUERA teaches children how to say “I like to eat” in Spanish as well as the Spanish words for the different types of foods they like to eat — apples, broccoli, bananas, corn, chicken, peaches, bread, and more! The merengue song “COMIDA”, performed by Jorge Anaya, provides a lively soundtrack as kids sample all of their favorite healthy foods with friends on the playground. Song “COMIDA” performed by Jorge Anaya. Frutas, frutas, frutas. Yo vendo las frutas de todos los colores y todos los sabores. This high-energy Spanish children’s song — “EL FRUTERO” (The Fruit Vendor) — teaches kids the Spanish words for fruit. The song teaches Spanish words for bananas, pears, grapes, apples, watermelon, raspberries, strawberries, cherries, pineapple, lemons, and melon. The video clip features the composer and singer of the song, Jorge Anaya, appearing in Whistlefritz’s language immersion video Spanish for Kids: ADENTRO Y AFUERA. Song “EL FRUTERO” from the Whistlefritz CD CHA, CHA, CHA. de todos los colores y todos los sabores. De todos los gustos yo vendo las mejores. Vendo bananas por la mañana. Vendo melones ya por la tarde. Frutas, frutas, frutas . . .